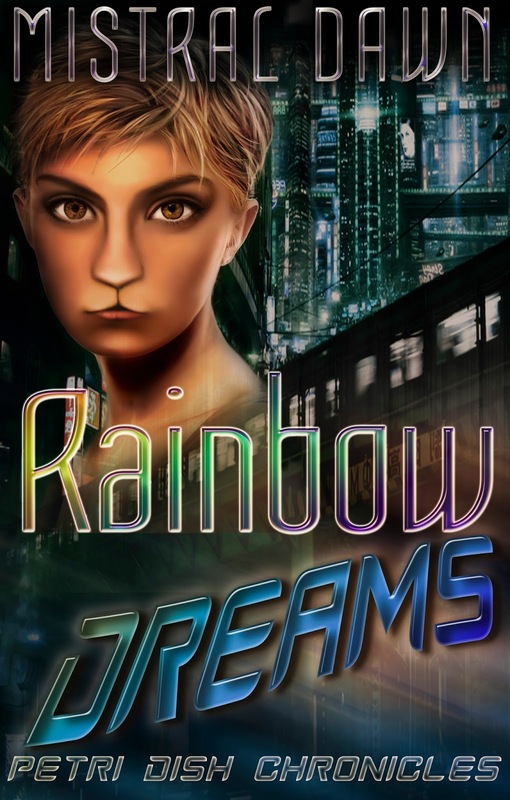 I thought I'd give you a little blast from the past today and post an excerpt from Rainbow Dreams. I thought it would be appropriate since I hope to have the sequel out to you soon. :-) Happy Friday! I would like to know who this 'Impaler' is." Sighing, Petri closed her eyes and massaged her temples. "No one really knows for sure. There have been stories about him for a long time, but no one knows exactly how long. No one even knows if he really exists, or if it's just a bunch of different swingers who use the avatar." Picking up her fork, she scooped some of the food into her mouth and chewed. As the flavor penetrated her senses, she smiled. "This is good." Daji smiled back. "I'm glad it is to your taste. Assuming that this person does exist, and isn't just a front for those who want the protection of a dangerous reputation they haven't earned, who is he? Does anyone have any ideas about the matter?" She quirked a half smile at him. "Oh, there are lots of ideas. It's just that no one knows if any of them are right." "What do the rumors say?" "Some say that he's the result of a new technology created by a mad diddler. They say that he invented tech to make it possible for a person to upload their entire consciousness and personality into the rainbow and for them to remain there permanently." "Why can people not remain there permanently now?" "Well, aside from the fact that people can't live without their bodies, and bodies need food and stuff, there's a problem with thought patterns degrading over time." She wagged her hand. "I don't understand it all either, but basically, if someone's consciousness spends too much time away from their brain, the signal breaks down. Eventually, it disappears altogether and the person ceases to exist." "So this Impaler has solved this problem?" Another shrug. "That's one of the rumors. Government scientists have been trying to perfect that kind of tech for centuries, but the rumor says that Vlad cracked the secret and gave himself immortality among the data streams." He nodded. "What are the other rumors?" Taking a drink, she gathered her thoughts. "Well, there's another rumor that says he's an AI that somehow gained consciousness. But again, no one knows for sure." "What is known for sure about this creature?" "Well, whoever or whatever Vlad is, he is or they are the absolute top of the food chain in Upworld's rainbow. His reach and eyes go everywhere, and nothing happens in the rainbow without the Impaler's blessing." "I'm surprised a government like the one on this world tolerates the existence of such a being." She laughed. "They don't have much choice. He doesn't ask their permission." "But could they not purge the planetary network?" Nodding, she answered, "The government, the companies, and even the houses have tried everything they could to get rid of him, or at least keep him out of their systems. None of what they tried has worked. The government even shuts down and replaces the central computer core, periodically. But once they reboot the system, there he is." He goggled at her. "They take the entire planetary rainbow offline to combat this entity?" "They don't say that's the reason, but it's what everyone thinks." Shaking his head in disbelief, Daji asked, "So he does have the power to fulfill his promise? He is able to get my ship released?" She nodded. "Yep. If it exists in the rainbow, he has control of it." "Will he keep his word?" She shrugged and met his eyes. "No idea."